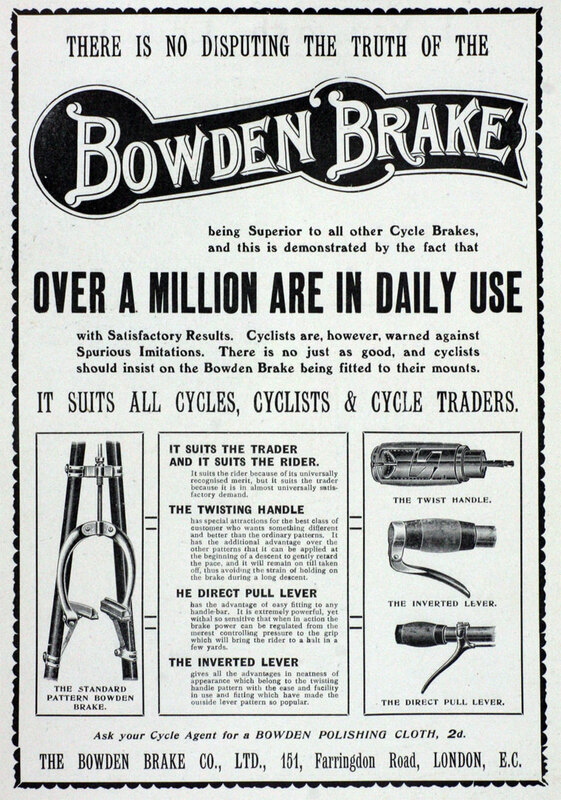 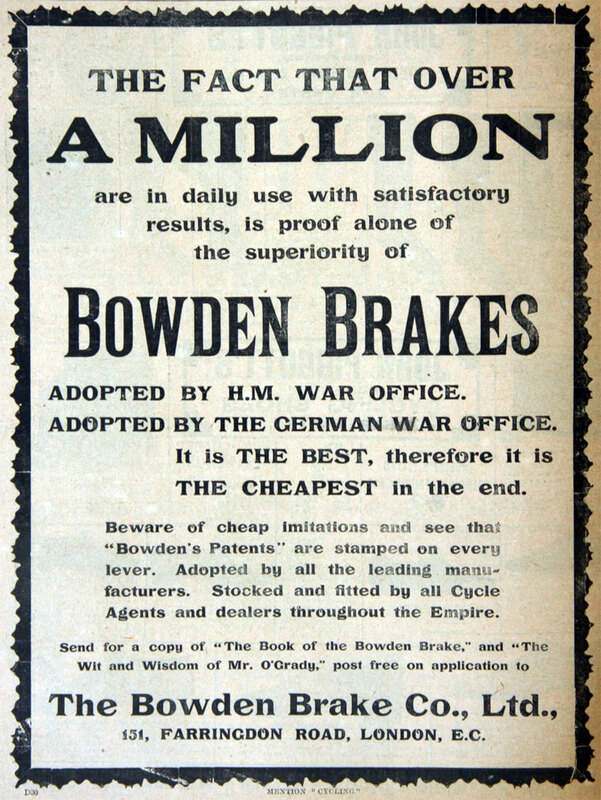 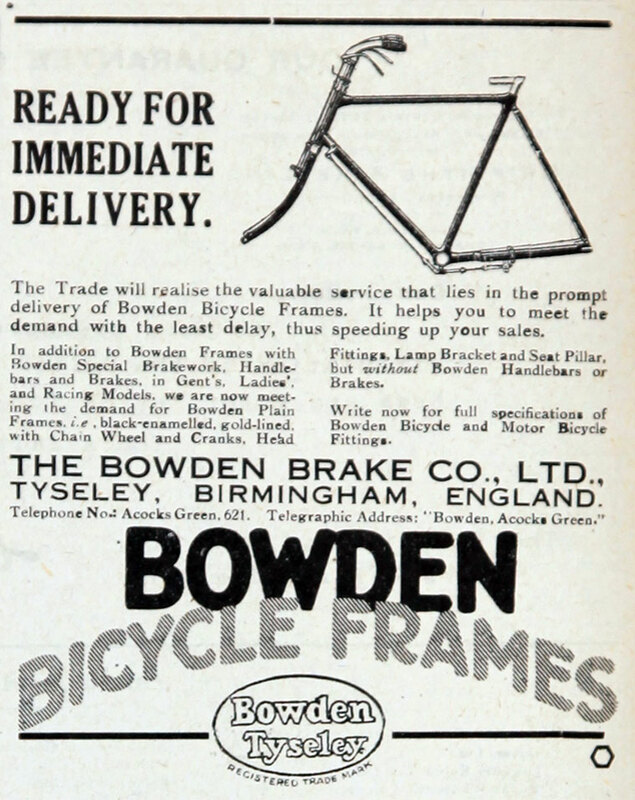 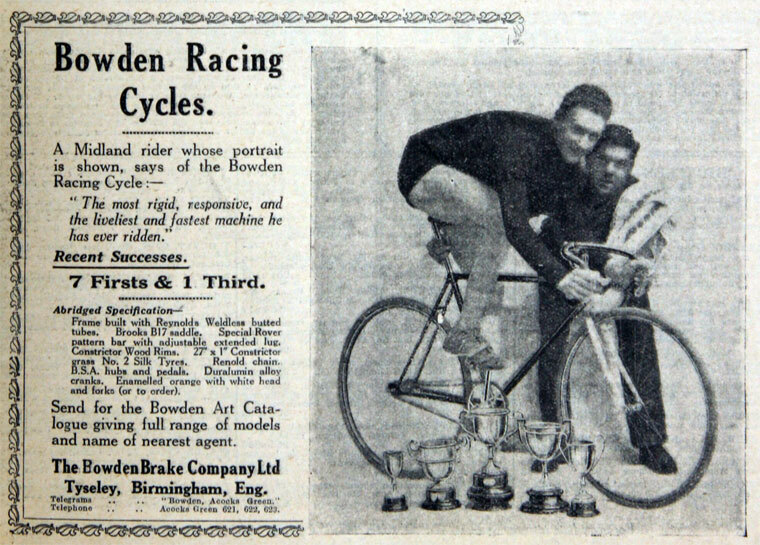 1901 Bowden Brake Co agreed to sell to the Bowden Wire Co the business of manufacturer of push-cycle brakes; the Bowden Wire Co granted rights to the company to use the trade-mark on its products. 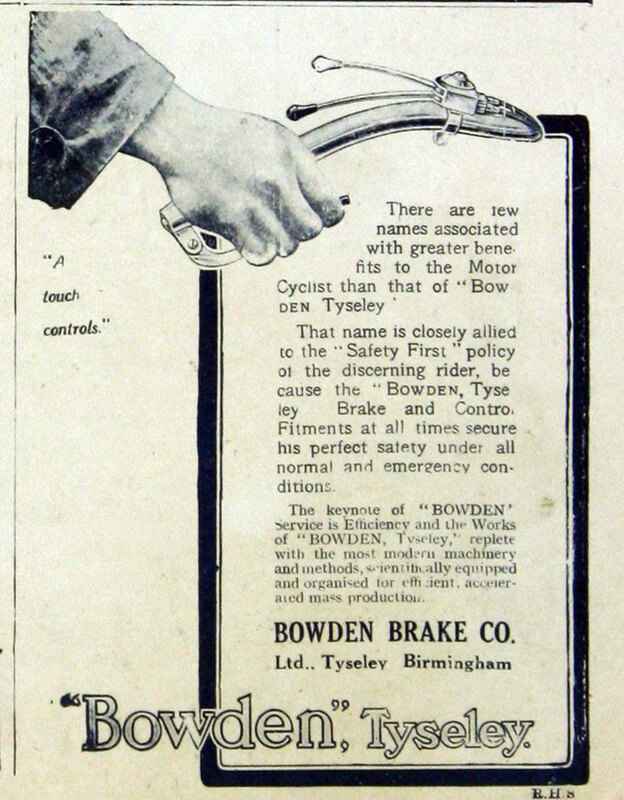 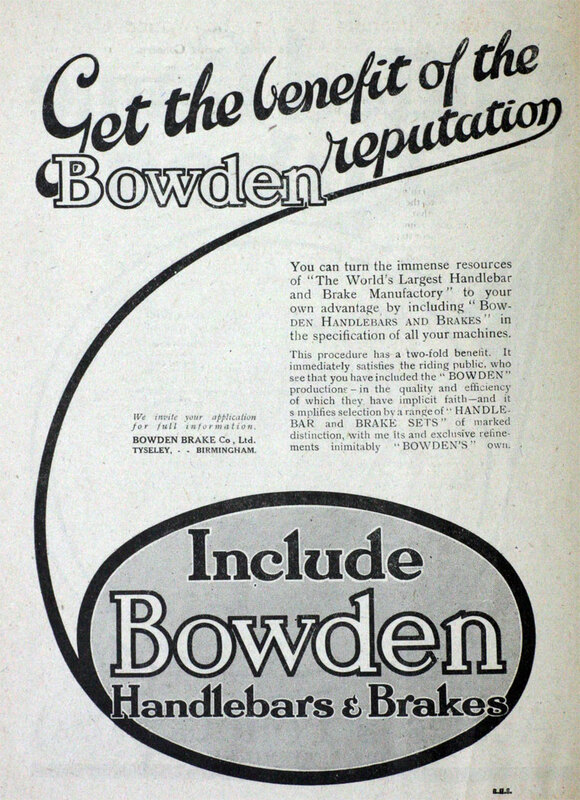 1912 The Bowden Wire Co was successful in a court action against the Bowden Brake Co for infringement of its trade-marks. 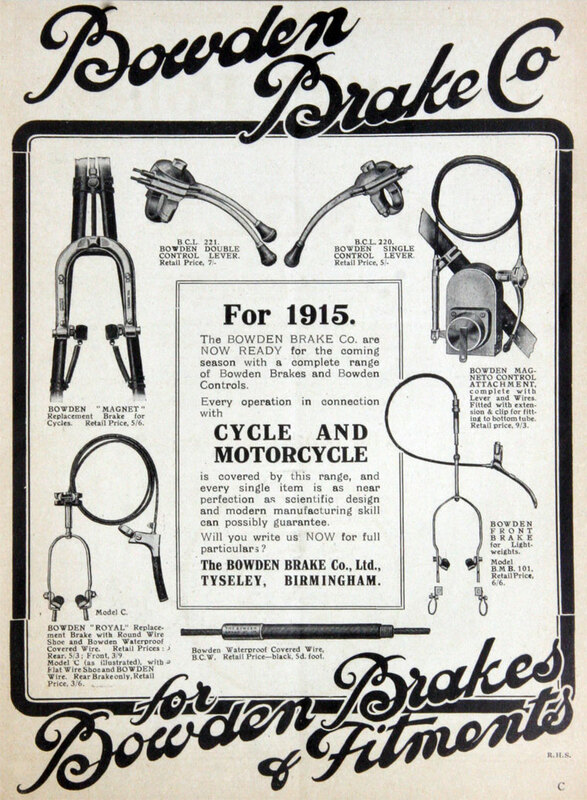 This page was last edited on 11 May 2013, at 10:32.